Baahubali director S S Rajamouli's son S S Karthikeya got engaged to actor Jagapathi Babu's niece Pooja Prasad recently. The ceremony was attended by the family's close associates including Karthikeya's best friend Akhil Akkineni and producer Shobu Yarlagadda. Karthikeya confirmed the news of his engagement with a post on Twitter which read: "Yes! Very excited to dive into this new phase of my life with the love of my life Pooja. Thank you for the all love that you have been pouring. Can't thank you all enough! Love always." Karthikeya also shared a loved-up photo featuring Pooja and himself. 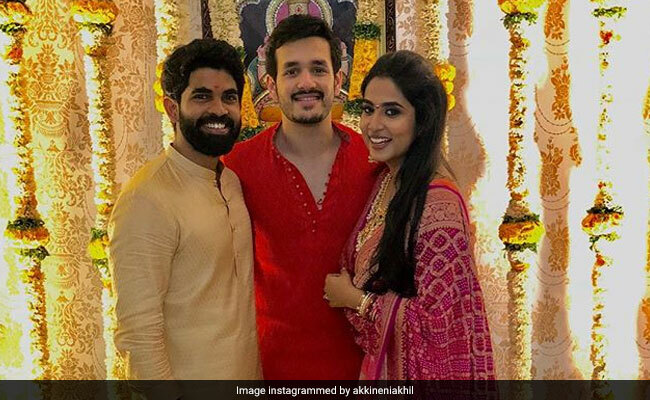 Karthikeya's best friend Akhil Akkineni congratulated the newly engaged couple with an Instagram post and wrote: "When your best friend and your rakhi sister get hitched ! Congratulations you both. Love you loads and wish you all the best. It's gonna be a roller coaster ride full of fun I'm sure and I'll be there right by your side. Enjoy the moment it's all yours." Producer Shobu Yarlagadda, who was also part of the ceremony, congratulated the couple with a post on social media. "Congratulations SS Karthikeya and Pooja! Wishing the sweetest couple the very best that life has to offer," he wrote. Several unconfirmed reports suggest that Karthikeya and Pooja's wedding will take place in December. Karthikeya was the unit director of Baahubali franchise while Pooja Prasad, who is the daughter of Ram Prasad (Jagapathi Babu's brother) and the granddaughter of producer VB Rajendra Prasad, is a renowned name in the southern music industry. A carnatic singer, Pooja has sung many devotional songs.